Any day will be a party with pet treats from Paw Street Barkery! Jeffie, Rudy and Rosie were delighted to be asked to taste tests some very tasty dog treats from this organic pet bakery. 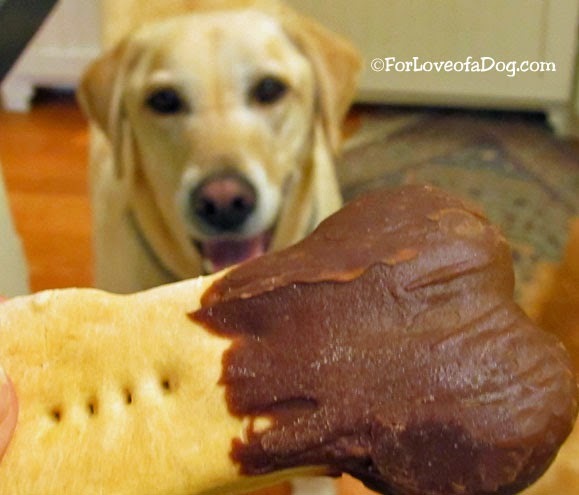 You can try some, too, if you're the lucky winner of a Paw Street Barkery $25 gift certificate! Founded in 2009 with the name The Barkers Dozen, Paw Street Barkery is on a mission to provide homemade organic pet treats. We'd say this Chicopee, Massachusetts company is doing just that. Paw Street Barkery brand organic dog treats use the highest-quality, human-grade organic ingredients and are made in a variety of shapes and sizes to satisfy any furry friend. Their gourmet dog treats are made on demand and in small batches to ensure the freshest product possible for their customers, without using artificial preservatives. The fresh-baked treats are then packaged in eco-friendly renewable or recycled materials. 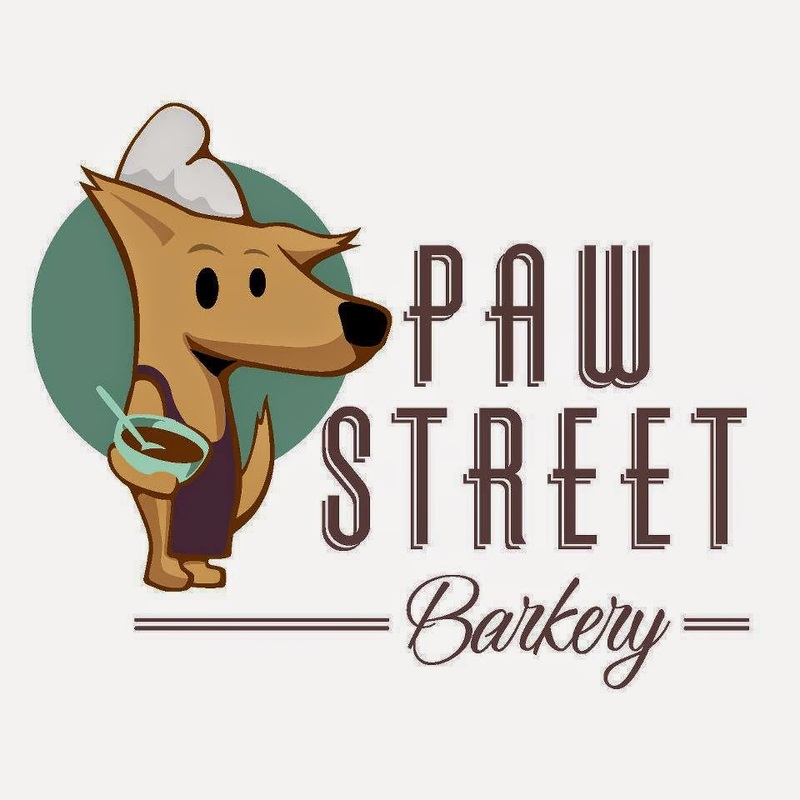 As part of its culture of social responsibility and to give back to its local community, Paw Street Barkery employs staff from the Aditus group, a non-profit that helps those with special needs to be able to enter the work force. In addition, the company donates a portion of its profits from every sale to two animal shelters in its local market. Made from organic and all-natural ingredients, these Blueberry Bone-anza Gluten Free Dog Treats are made of such base organic ingredients that they can be eaten by those dogs with even the most sensitive of stomachs and gluten allergies. 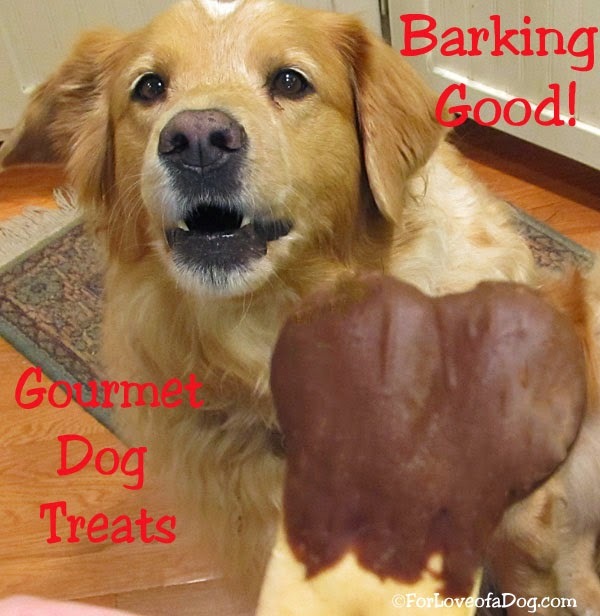 These treats are the latest in Paw Street Barkery line of gourmet dog treats, and came out as the preferred flavor by a panel of doggie taste testers. The new Blueberry Bone-anza treats are made with organic, human-grade ingredients, just like the rest of Paw Street Barkery portfolio of baked goods for dogs. These treats are made with organic peanut butter covered in rich carob, complete with fun paper wrappers! These are made from the same organic ingredients as their Signature Chicken Bow Wow Treats and then dipped in natural carob. 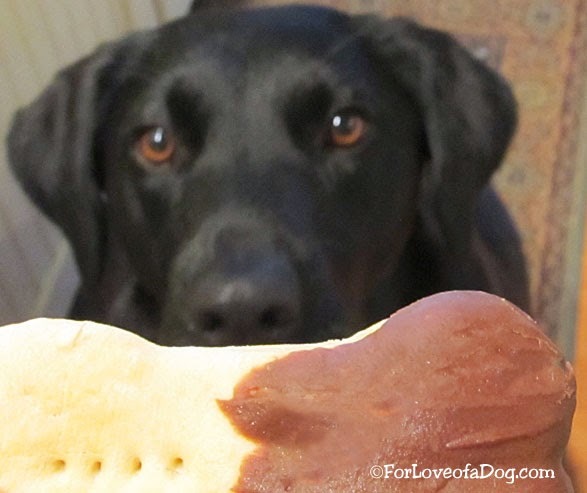 Note: From May through September, carob-dipped treats and products containing carob (like this one), require special overnight shipping to prevent them from melting on the journey to the lucky puppy recipient. Taste - the dogs loved them! 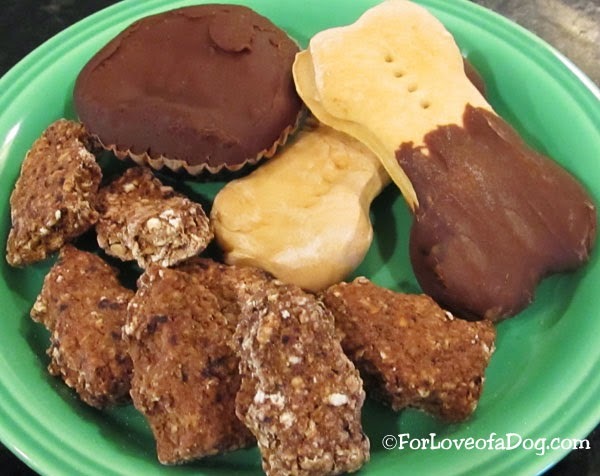 Though I admit I would not give my dogs fancy treats like the Carob Peanut Butter Cup and Big Dipper dog treats every day, they'd make very festive special occasion treats. The Blueberry Bone-anza dog treats are in an adorable fire hydrant shape and are small enough to be a very tasty training treat. Jeffie really loved these. Paw Street Barkery also has some barking good gift pack and sampler assortments including: doggie cakes, adoption gift boxes, and you can even create your own custom gift baskets. 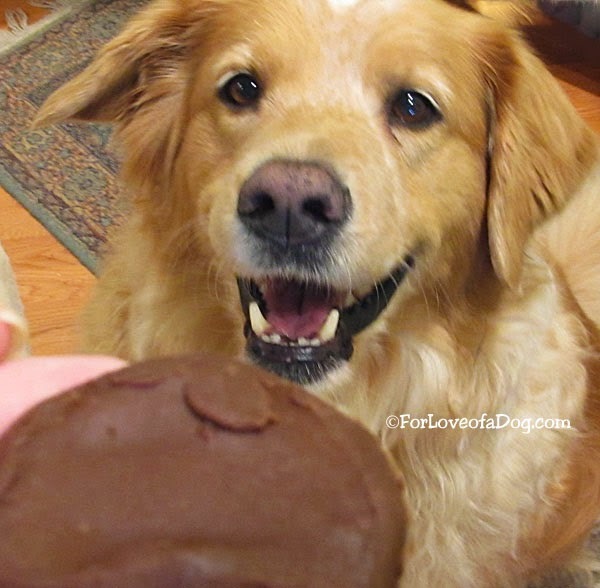 What a great idea for a special dog birthday, Gotcha Day or other special event. Enter the giveaway now for a chance to receive a Paw Street Barkery $25 gift certificate! There will be one (1) winner chosen at random by Rafflecopter to receive a $25 gift certificate for Paw Street Barkery (to be redeemed at their online shop.) *Does not include shipping for the items selected. The winner will be announced October 28. The winner will be notified by email that morning. If I do not receive a response within 48 hours an alternate winner will be chosen. 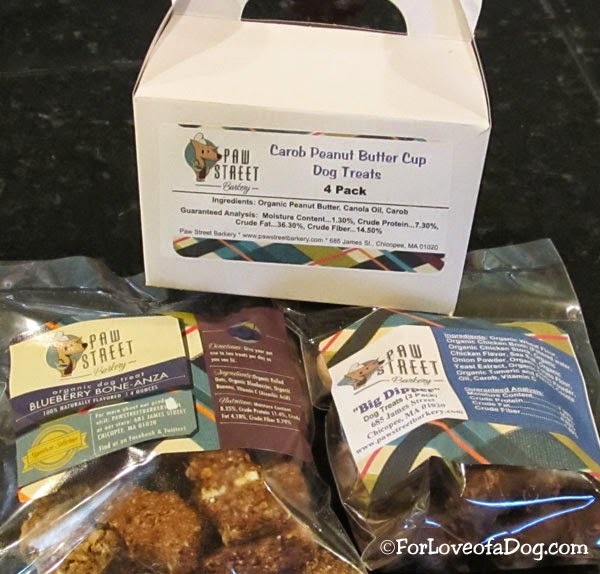 * We received three packages of organic dog treats and a $25 gift certificate to giveaway to our readers from Paw Street Barkery in exchange for our honest review of the product and service. Talking Dogs is the official blog of For Love of a Dog Jewelry. 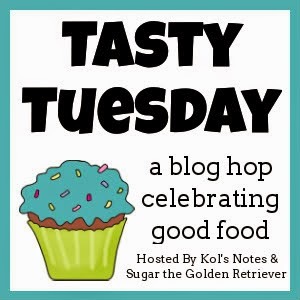 We'll also be joining the Fido's Freebie Friday blog hop hosted by Dog Tipper, All Things Dog Blog, Doggies and Stuff and To Dog With Love. If you have a giveaway on your blog, join us! We really appreciate companies like this that give back - we're in! Hope we win. Now that looks like a whole lot of yum! Looks like a lot of great and delicious treats! They sure look fancy. I think you need to add a warning to make sure your human doesn't eat them by mistake! Oh man. Now I'm hungry for cupcakes. Nice! We love Paw Street! Thanks for sharing! The peanut butter pup cakes-those all look delicious! We love the Paw Street Barkery! yummmmmmmm. They all are making me drool. Blueberry Bone-anza! Wow, these treats look awesome. This company is from close to my hometown in MA too! We would really like to try those peanut butter cups! Yum!! My two kids would love the Peanut Butter Pup Cups. I think Coco would LOVE the Peanut Butter Pup Cups! Peanut Butter Pup Cups is what Lady Girl would love!!! She loves peanut butter out of the jar!! I think my dogs would like the Organic Chicken Bow Wow Treats best. Thanks! Those are very fancy. I think my dogs would like the peanut butter treats. My pugs would love the peanut butter cups but omg everything looks so yummy. I went to Quinnipiac with the company's owner/founder and I'm so happy that things are going well for him! We'd love any treat. If we win, we'll donate the treats to our local animal shelter for pups waiting for their forever homes to enjoy! The sweet potato ones, or the peanut butter pup cups! There are so many...but the Peanut Butter Barkscotti I think she would find yummy!